Before joining us, his previous stint, was in the No.1 school of the country, The Shri Ram School, New Delhi a status it has retained for the past several years. The Director of the Shri Ram Aspen Leadership School, a Global Initiative for student leadership that has been certified by Babson College, US. 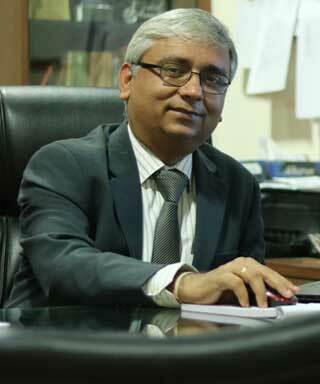 The Vice Principal of the Shri Ram School, New Delhi. The Head of Sciences for all the Shri Ram Schools. The post of Academic Administrator and Dy. IB Coordinator with Chinmaya International Residential School, Coimbatore. Conducted workshops for the UKIERI cluster of schools in Mathematics and Science. Been the Science Teacher Trainer for the Council of Indian Schools Certificate Examination (CISCE) and Aga Khan Foundation. Been a part of the syllabus review committee of ISC and ICSE for Mathematics and Physics from 2007-2011. Conducted various workshops on Physics and fun through Science and Mathematics for various school teachers of North India, including Sanskar valley, DPS and K R Mangalam School, Delhi.